Bloom Buddy offers high quality bio organic fertilizers, flower fertilizers and all purpose plant food for home gardens. We provide organic manure products at an affordable price range from Coimbatore, India. http://www.bloombuddy.in/ We manufacture plant growth boosters with the essential nutrients, minerals and vitamins for all kinds of plants at affordable price. It is an ideal plant food for organic farming. 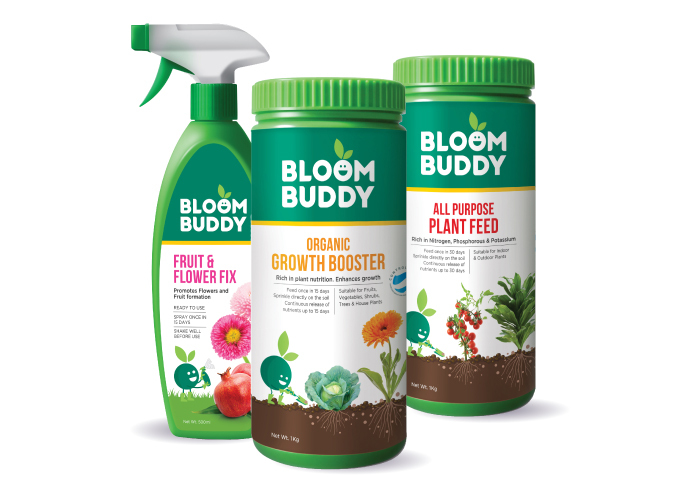 Bloom Buddy sells its fertilizers online, to help wider range of customers. We offer all purpose organic fertilizers for plants, fruits and vegetables.